When the sun sets in the Lamjung Valley, the air becomes still and quiet. When the power is out, as it often is, the stars litter the sky. It takes a few moments for your eyes to adjust to the deep darkness that we so rarely see in the States, but once they do, they catch the stars glittering brightly, challenged only by the fireflies that sparkle inches from where you sit. They are not afraid to get too close to you. It’s almost as if they know the effect they have on us. However, the wine served its purpose. The exhausted men relaxed and opened up to us, and our laughter filled the sleeping valley with echoes. Seeing the serious men and their obedient wives finally relax was rewarding. It was still an early night, and no one exceeded the stage of Social Lubrication, but it was a wonderful evening. By 10 PM, we joined the rest of the villagers in a deep sleep, and the fireflies scattered as some of the men stumbled home. I take back everything I said about the drive out to the valley. On Tuesday we took the local bus to a nearby city called Besisahar. 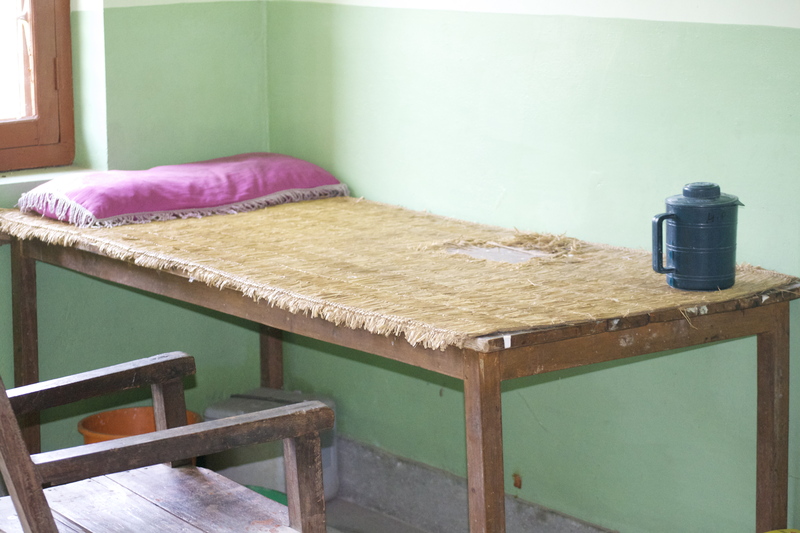 Besisahar is about a 1½ hour bus ride from Rupakot, and it has an impressive hospital to which the patients in the rural villages around the Lamjung Valley are often referred for more serious conditions. We wanted to visit the hospital there to see how we could make ours work, and for inspiration, guidance, and a little bit of assurance. We wanted to take the local bus so we could experience exactly what the villagers experience when they have to make the journey to a better hospital. It was not an easy trip. After a long walk along the rice paddy fields and across the river, we caught the bus outside of the school. When we got on, there were no seats available, at least not inside of the bus. There were several men sitting on top of the bus, though. When we started careening around the mountain roads, I half expected to see bodies flying off the roof. It goes without saying that we chose to squeeze ourselves into the aisle like cattle. The bus was unlike anything I had seen before. The outside is decorated in bright paints, often with the words “Handsome Man,” or other means of identification marking the front bumper. 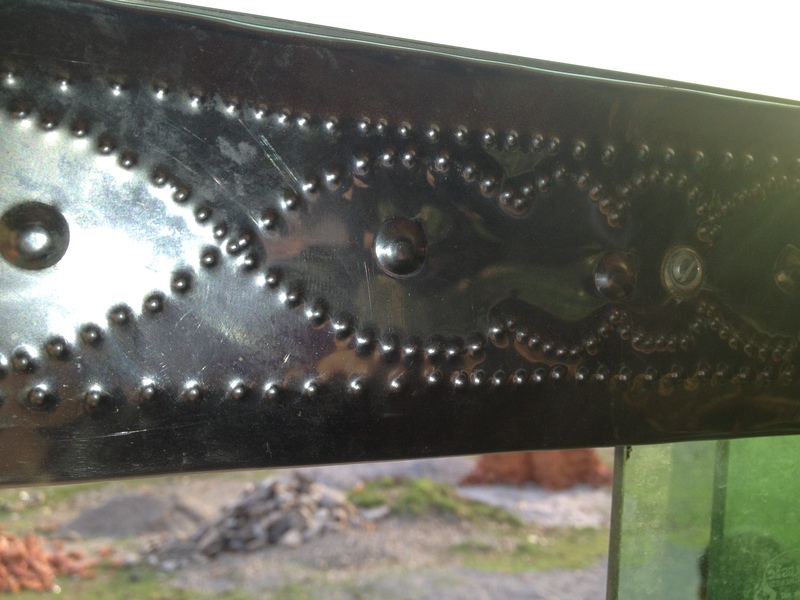 The ceiling on the inside of the bus had bright paintings plastered along it, while punched tin decorated the window frames. With the Nepali music blaring, the bus quickly made its way across a river (not by bridge) and along the bumpy road. Imagining a woman in labor or a sick child having to endure this trip was difficult. It was not an easy journey. 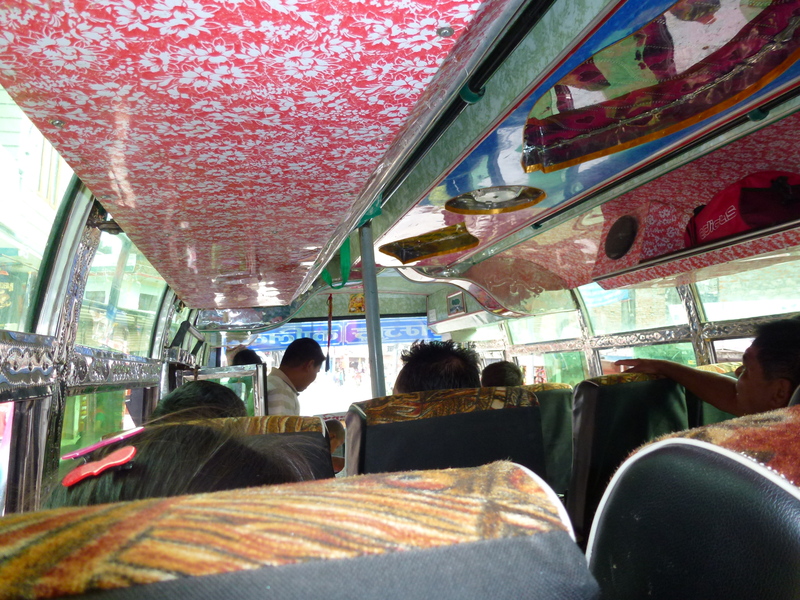 The inside of the bus, with colorfully decorating ceilings. The hospital director at the Besisahar Hospital was extremely kind and welcoming to us. He answered all of our questions about the statistics, such as the chances of survival after a hospital delivery versus a home delivery, and gave us a tour of the facilities. We wanted to understand how they became self-sustaining and how the government and the NGO, both of which supported the hospital, worked together. The visit was very promising. After some chicken momos, a Nepali dumpling, and naan, we took the bus back to the valley. This trip was even worse than the way there. Many of you might know that personal space is somewhat of a commodity in the United States. Here in Nepal they have no conception of it. We were fortunate to find seats on the bus, but it quickly filled. A girl about my age stood next to me in the aisle and motioned to my seat, and not understanding her, I thought she wanted to put her purse on the ground next to me to keep it safe. By now, I was used to being taken by surprise, and yet when she lifted the armrest and sat on my seat, I was dumbfounded. There was not much space left on my seat, and I hadn’t moved over, so she was, basically, sitting on my lap. Unapologetically, she forced her weight against me, until an English speaking Nepali man who had engaged us in conversation noticed me making a “is this for real?” gesture to my mom and asked the girl to stand up. I endured her dirty looks as I enjoyed my roomy seat the rest of the way home. When we were about 15 minutes from the school where we would get off to walk home, the bus stopped on the side of the road. The driver and the money collector left the bus. It was hot and the sun was setting and we were getting restless. We waited, an entire bus full of people, without any explanation for an hour and a half. We saw one of them sitting on a rock smoking a cigarette. Some people got out to stretch their legs. But when my mom and I complained to Nabaraj, he said cheerfully “Don’t worry! There’s nothing you can do about it.” What?!? There’s nothing you can do about it? At home, this would never happen. The bus driver doesn’t just leave for a smoke and come back an hour and a half later without telling the passengers how long he would be gone. We could have walked home and had our daal bhat 2 by the time they came back. But now, we would be crossing the river in the dark after the bus dropped us off at the school again. I learned two things about the Nepali people that day. First, personal space is a luxury; second, the people have little say in what happens when other people, especially the government, are involved. All of the housewives in the village know everyone else’s business and they gossip constantly. When one of them becomes pregnant, they all try to help figure out whether or not it will be a boy or girl; hopefully it will be a boy. When we walked down to wash at the well, everyone asked where we were going. When I made my big mistake (washing in the drinking-water pond), they all knew about it. “The stupid American does not even know how to wash her clothes,” and they were right! When a new person comes to town, they have a Welcoming Ceremony, and when that person leaves, it’s an even bigger ceremony. When invited to tea, or offered curd, it’s best to accept, with grace – as you, the visitor to their home, are considered a “god.” Not accepting their invitation is like a god refusing their offerings. A closed door is not a closed door, as Rene found out on our first morning in the valley. We had just woken up (at 5:30 am,) and as Gaby was walking back from the bathroom someone was walking into our bedroom. The doctor was in town and “could he please take a look at my mother? She saw a doctor who gave her medicine for her heart, she is not taking it anymore, but she is dizzy.” Many times during the day someone would walk into our room. Often it was one of the kids who wanted to watch Gaby as she put in her contact lenses or brushed her hair, or put on her make-up. Even Babu (Nabaraj’s little boy) knew where the chocolates were and he came in with a trail of other children and pointed to the bag, smiling. To the villagers, our bedroom was not our bedroom, but just another room in Nabaraj’s house, where we happened to be sleeping. When tragedy strikes, “it must have been a demon.” As we soon found out, this is an all too common occurrence. If a mother miscarries, or an infant dies, “a demon took them.” Through taking to the villagers, we found out that these tragedies are a way of life in Nepal, and some things are not questioned, rather they are accepted. That doesn’t mean that they don’t offer their advice, even when not asked for it. The new mother must wear a sweater for several months after delivering, even when it’s hot outside, as it often is in Nepal. If a doctor gives them medicine, they all weigh in on what it is and whether or not it is OK to take it. The villagers also celebrate life’s milestones together. Weddings involve the whole village and can last for more than a day. First, the bride’s family accepts the groom into their home, and has a feast for the village. Then the men carry the bride in a basket to the groom’s home, where another feast is waiting. When a baby reaches 6 months old they have a ceremony for their first rice eating, which again is celebrated by a feast for the village. If an extra person drops in at Daal Bhat time, another plate is set out, and the gossiping begins. 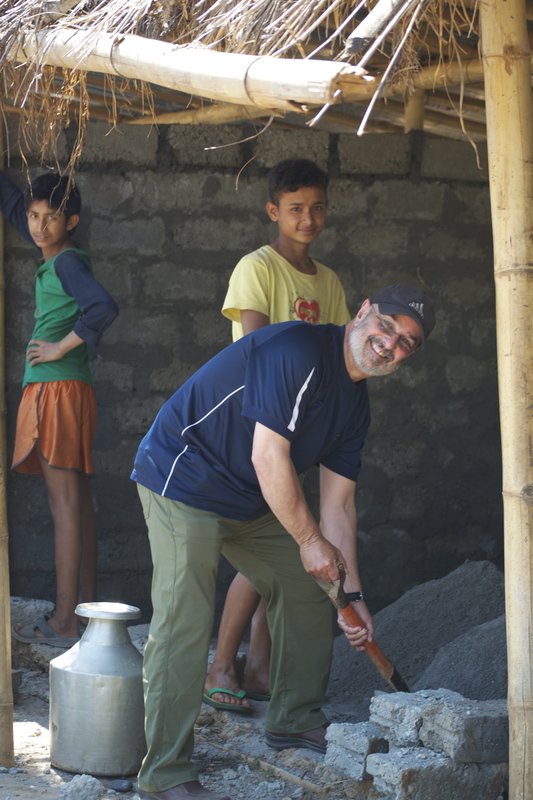 For those of you who don’t know why my mom, dad and I came to Nepal, it is a very long-winded answer, one that can only be summed up like this: We came to Nepal to help. About a year and a half ago, my parents decided that they wanted to give back. Given their professional fields (my dad is a doctor, my mom is a nurse) and their love of travelling, they wanted to visit a hospital in a third world country. Through a program called World Endeavors, they chose Nepal (because not many others do), and were put into contact with our friend Nabaraj. When they arrived for the first time a year ago, Nabaraj asked them to visit his valley, saying that the hospital in Pokhara they had been assigned to, didn’t need their help. They asked what they could then do for him in his valley. He replied, “build me a hospital.” If you are familiar with “The Little Prince” (Le Petit Prince) by Antoine de Saint-Exupéry, you might recall the scene in which the Little Prince asks the sleeping narrator, “If you please—draw me a sheep!” My father, who claims he has read the story “over 35 times,” couldn’t resist. “I am the sleepy pilot,” he said. And it took someone to ask him such a simple, and yet profound, request to wake him from his slumber. After they returned home, they were hooked. Over the course of the past year, at my parents’ suggestion, Nabaraj set up Avasar Nepal with their guidance. Luckily, someone had actually built a beautiful hospital a few years ago, but had left it an empty shell with the expectation that the villagers would supply the contents. They, of course, had no means of doing this. 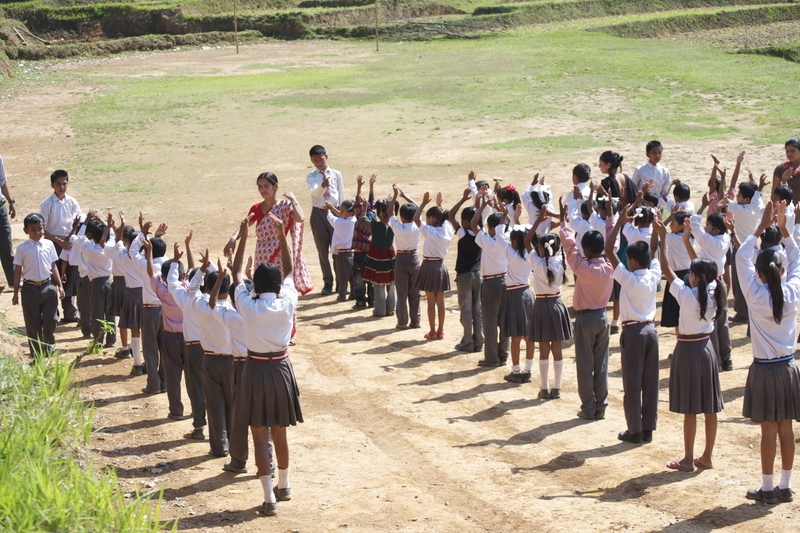 However, with the help of Avasar Nepal, things are starting to happen. So here we are, one year later, watching this hospital grow, caring for its residents. And yet, there is still so much more to be done. The single delivery bed looks like it originated 100 years ago. The two exam tables are just that: tables with a straw mat on top. The pharmacy’s formulary consists of about 5 items. 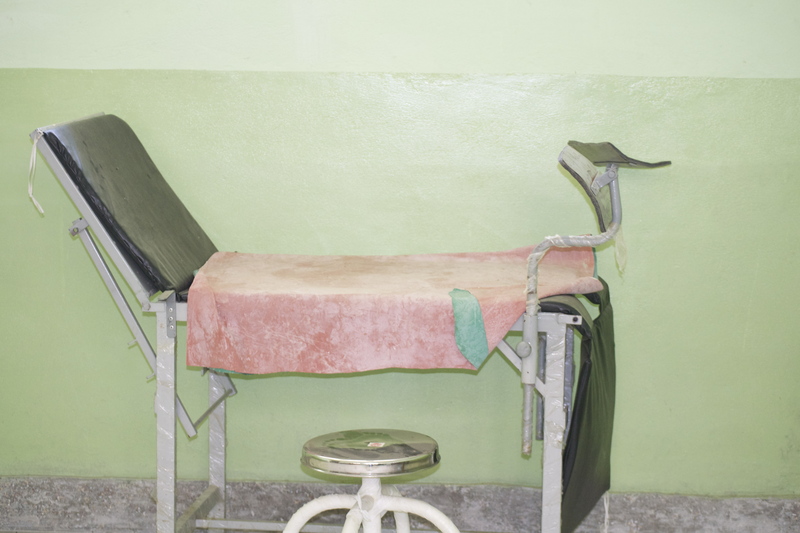 There is no sterilization, oxygen, or even the most basic first aid needs. Our trip to Nepal is mostly for research. We wanted to see the progress that had been made on the hospital and Little Star English Boarding School (the other sector of Avasar). Also, as I prepare to submit my Master’s Thesis on Infant and Maternal Health Care in Nepal, I wanted to visit the source to ensure that my claims were correct. I can say with absolute certainty that this trip was worthwhile. We are very pleased with the results of the donations and the time spent trying to develop the hospital and the school, and I know that what I have seen first-hand will surely enhance my thesis. One fear that we have had is whether or not what we are doing matters. We wanted to set up Avasar to make a difference in the lives of the people of the Lamjung Valley. After our time here, we know that in just one short year, we already have. 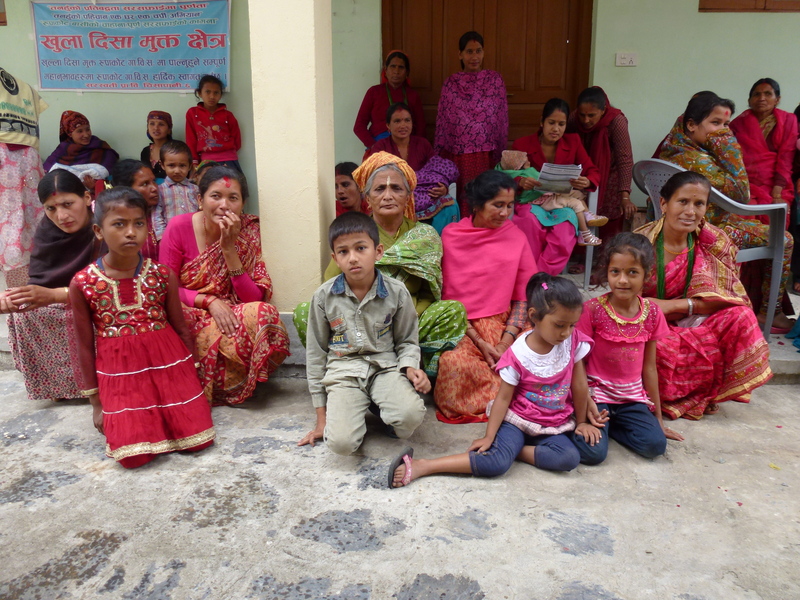 Over the course of our week in Rupakot, we visited many families to gather information for both the school part and the hospital part of Avasar. Seeing the homes that many people live in, the lengths they have to go through to get water, to get to school, to carry out their daily lives, it is difficult to be unaffected. I often wondered why I was so lucky. Why was I given the life I have, instead of being born into one of these homes? One day we went to visit Avasar’s Little Star English Boarding School, a 30-minute hike from Nabaraj’s house. Getting there isn’t easy. After you walk along the ledges of the rice paddies, as you do to get to most places in the valley, you make your way across a river. Right now, during the dry season, the stream is small, and fairly easy to cross for the accustomed Nepalis. Finding steady rocks that poke out of the water so our shoes don’t get wet is sometimes trying for us, but the kids usually just stomp right through the water. During the monsoon season, which will begin in a few weeks, the river swells to shoulder high, posing a big problem for half of the villagers who live on this side of the water. The small kids need to be carried across to make it to school. Moving the school wouldn’t solve any problems though, because the river runs straight through the village separating the residents. By the time we arrived, out of breath and sweating from the intense heat, I had blisters from my new sandals. As I stood complaining to my dad about my sore feet, we watched the kids playing soccer during their break. One 11 year old boy, D.P,, hobbled after the pack of his classmates chasing the ball. D.P. has a drop foot, a condition that prevents him from flexing his one foot, causing him to limp. This is a condition that is easily fixed in the US with physical therapy or splints, but not in Nepal. Thankfully, here his peers never tease him, but always wait for him to catch up with the rest of the pack. 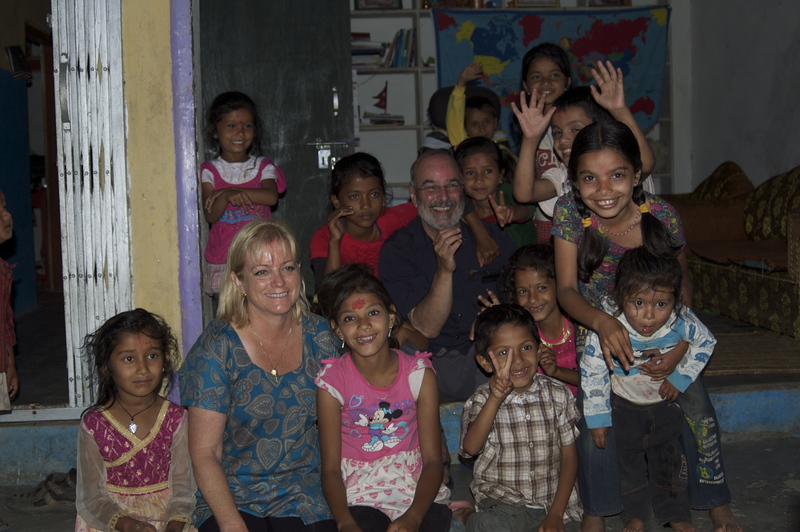 These children have touched us beyond imagination. My dad “helping” the men dig. The classrooms are being renovated as more students arrive. Nabaraj hopes to purchase a new plot of land nearby as the school continues to establish itself as the premier private school in the area. During our first visit to the Rupakot Health Post, a woman came in with a 10-day old baby girl. The mother had had a C-Section in Chitwan, a province in the south, and was directed to the hospital in Kathmandu, but, because of finances, the family decided to forego the doctors’ recommendations and went straight home. The mother, quite ill and recovering from the operation, was unable to make the difficult journey from her home to the hospital, about a 45 minute walk on rough terrain. The baby was brought in to the Rupakot health outpost by her grandmother. The baby weighed to 2 kilos at birth, and hadn’t gained weight in her ten days of life. She had a large mass protruding from her lower spine which was either a bifid spine or a large spinal mass. Either way, the baby’s legs were like chicken legs, just skin and bone. There was no response from the Babinskii test (where you run your finger along the foot) my dad performed. The baby was likely severely disabled neurologically below the waist. I had to leave the room. It was one of the saddest things I have seen. My dad told the grandmother to take the child and mother to the larger hospital in Besishahar, but the baby, still breastfeeding, couldn’t go without the mother, and the mother was too weak to take the long and bumpy bus ride to the city. The only other option was the ambulance which would cost about $80—more than a month’s salary. The family had to decide how to spend their money. The likelihood of the baby surviving for much longer was slim. If it contracted any infection, pneumonia or continued to not gain weight, she wouldn’t make it. If everything had gone perfectly (which is very unlikely), she would still have an incredibly difficult life. This was the decision that faced her family. 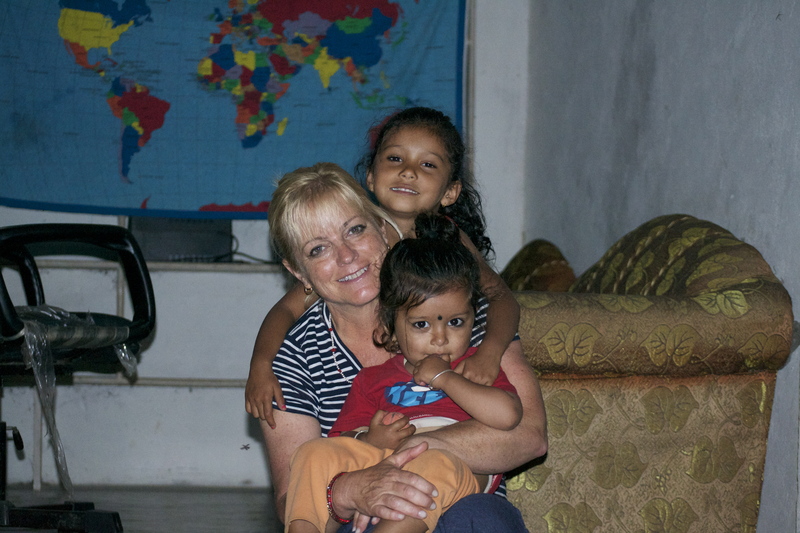 We were all very touched by this child, so a few days later we made a follow up trip to their home. Their home was located up in the hills. A rocky climb up the mountain was followed by a long walk along the ledges of paddy fields. We understood why that mother couldn’t make it to the hospital. When we arrived at the house, things continued to fall into place. The mother was her husband’s second wife. I don’t mean that her husband was divorced or a widower—both wives lived in the house with their mother- and father-in-law, the first wives’ three young children, and the new baby. The husband was working in Qatar, as many Nepali men do. Like in the US, if a man wants to divorce his wife, he must give her some property. Unlike in the US, if he does not want to give her property, he can take a second wife, as long as he provides for both women. My dad tried to figure out what exactly was wrong with the baby. He asked how long the mother had been pregnant, and she said May-April. 11 months. We all looked at each other. Either she had miscarried without knowing and became impregnated again, or she had some reason to lie. Her husband had been gone since May, therefore, if she had gotten pregnant after May, it was not by her husband. Whether she was raped or had committed adultery was not discussed. The living conditions were pathetic. A two-room clay hut housed the family of eight. The front of the hut was open to the outside. There were no doors or windows. Beds were straw mats on the floor. Chickens and goats walked in and out of the hut at will. Not ideal conditions in which to care for a sick disabled newborn or clean a recent postop wound. This is the sad reality of rural Nepal.